Posted on Jun 25, 2015 by Appleton Downtown Inc. This free trolley makes a complete loop of Downtown and the Riverfront every 30 minutes with scheduled stops along the way. It departs from the Transit Center (next to the Appleton Public Library) at 15 and 45 minutes past the hour.) Look for the black, green and red trolley stop signs! Park in one of the Downtown ramps and then ride the trolley to your favorite restaurant, retailer or nightlife location. Running Thursday - Saturday, it's the perfect way to get around Downtown and to our beautiful Riverfront. 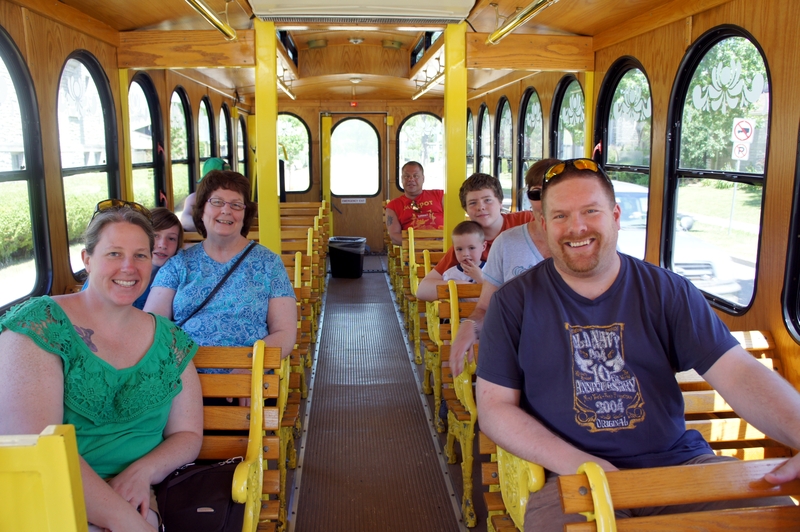 Take the trolley to enjoy the sights, sounds and delicious smells of our great area. And a ride on the trolley makes Art On The Town, the Heid Music Summer Concertsand the Downtown Appleton Farm Market even more special! The trolley brochure with map is available to download now. Or pick up a copy at the Radisson Paper Valley Hotel or Transit Center. 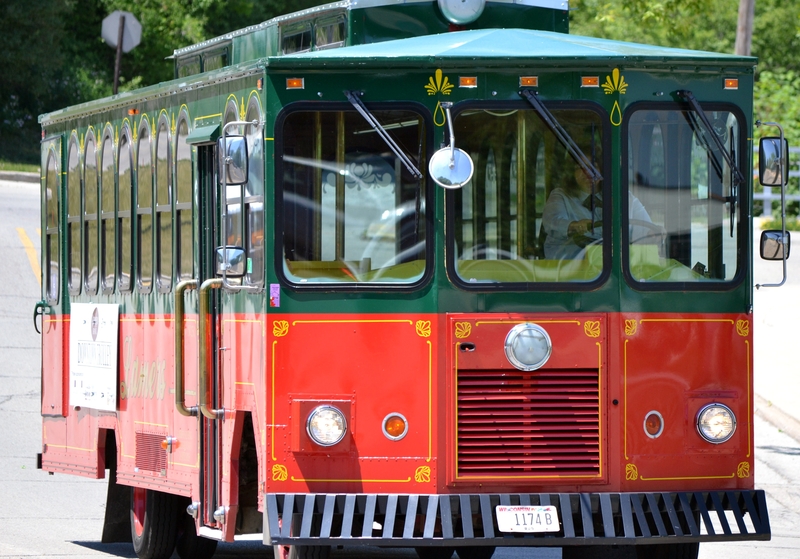 The trolley is available June 4-Sept. 26. If you enjoy riding the trolley and would like to support it, please make a donation in the box on the trolley.